There are two ways to get started with D&D: as a player, or as a dungeon master (or DM for short). Every game needs a DM, and every DM has a lot of extra responsibility. 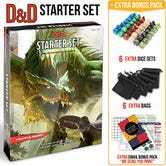 If you want to do it the easy way—and you probably should for your first time—you can get the official Dungeons & Dragons Starter Kit which should cover the most basics necessities like dice sets, a few character sheets, and a quick one shot campaign. This should be enough to whet the appetite of your group. But once you’re ready to move up to a full-scale campaign, there are a few more things you might need. For every item we list below, there are dozens of alternatives. We’ll cater our recommendations to Dungeons & Dragons 5th Edition (or D&D 5E), but you can make adjustments where appropriate. 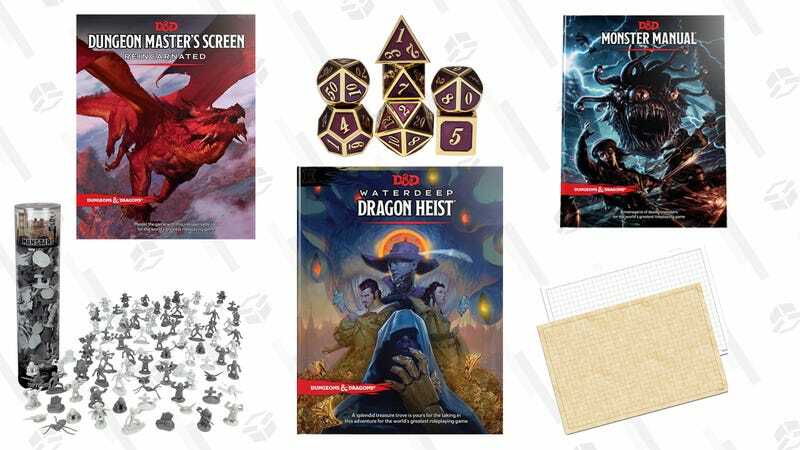 Wizards of the Coast, the publisher behind D&D, regularly releases new campaigns and stories for DMs to lead their players through. 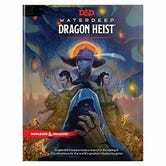 You can use the new ones as they’re released, like the current campaign called Waterdeep. There are older campaigns to choose from like Hoard of the Dragon Queen or Princes of the Apocalypse. Each campaign book comes with descriptions of locations, factions, non-player characters (NPCs), and story hooks to get your players engaged. Some DMs choose to follow these stories closely, while others use them as a starting point to build their own story and adapt as the players make choices. Whatever your style, you can use these books to make it easier to create the world your players inhabit. As DM, you’ll have a lot of information you want to hide from players until the time is right. Whether it’s sheets with plot information, or just dice rolls that you can’t reveal yet, you’ll need a way to hide that information. The simplest way to do so is with a DM Screen. These large screens give you plenty of private space at the table. The outside has intricate decorations to help set the mood for your players, but inside there are shorthand tables and reference sheets for common calculations you’ll have to do as DM. 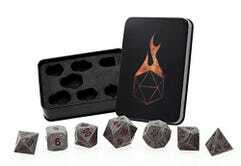 You don’t need to be told that a good set of dice is essential to D&D. But as the DM, your dice are special. They’ll decide the fate of your players. They may decide who lives and dies. Players dice control themselves, but your dice control their world. It’s only fitting for you to have dice worthy of the task. 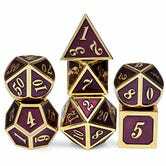 There are countless styles of premium, metal dice sets so shop around a bit to find the right ones for you. Game mats give you an opportunity to bring life to the world you’re creating. You can find countless maps of villages, cities, and everything in between online—some creators even work directly with publishers to make maps for existing campaigns—but when it comes time to fight, you’ll need something with a grid. 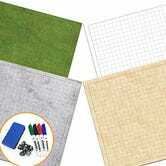 Preferably something that’s erasable, like this map set that comes with a blank white mat, as well as a stone, grass, and sand design for a variety of settings. Your players will eventually need something to fight. But crafting monsters can be tricky, and balancing their stats isn’t easy. To make things simpler, get yourself a monster manual. 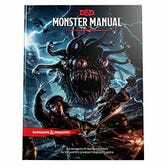 These compendiums come with a vast library of ready-made monsters that you can pull from when you need something for your players to kill. Your players will likely supply their own highly personalized, possibly custom-painted miniatures for their own characters. But let’s be reasonable, you will likely not want to spend as much time on every NPC and monster. Instead, a collection of tokens you can use as stand-ins for characters and beasts is handy to have on hand. 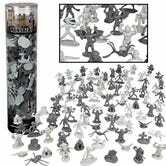 There are numerous bestiary boxes and cheap packs of unpainted miniatures that you can pull from when you need them. Remember that there are more tabletop RPGs out there than just D&D, and many of them have their own lines of accessories, so look everywhere for the right accessories for your game.